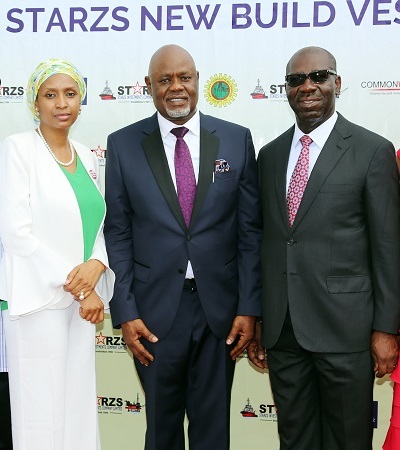 “This morning’s event is another testament to the commitment of the President Muhammadu Buhari administration to the improvement of the Nigerian economy, not just by diversification but by providing the enabling environment for the private sector to invest more in the country”, she said. 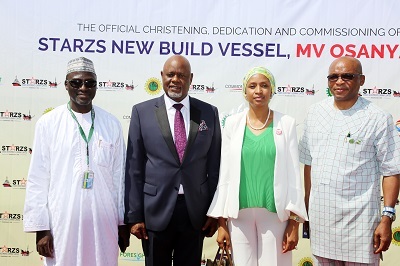 “In addition to its contribution to the development of the Maritime industry in the country, the introduction of MV OSANYAMO has the capacity for oil exploration and production in Nigeria. 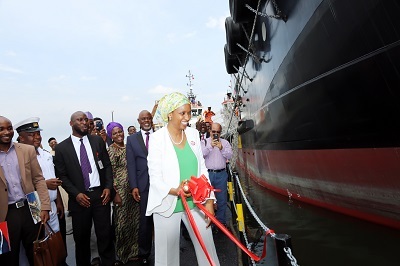 Said to be the largest Damen ASD Tug range till date, the ASD Tug 5114 model vessel is purpose built to assist in tanker lifting operations alongside FPSOs in the Gulf of Guinea”, she added.